We have heard a lot of rumors in the past few months regarding the detailed specification of the much anticipated Samsung Galaxy Note III. And the rumors are still spreading with endless leaks of the photos and specifications plus new features that will come with the new phablet. Some leaks by SamMobile shows the full specifications of the Galaxy Note III will include a 5.68-inch full-HD Super AMOLED display with a resolution of about 1080x1920 pixels. The device is also said to be powered by a 1.8GHz Octa-core Exynos 5420 processor coupled with 3GB of RAM. The Galaxy Note III variant SM-N900 is likely to boast an ARM Mali-T628 MP6 GPU but for SM-N9005 variant the GPU is unconfirmed, notes the site. 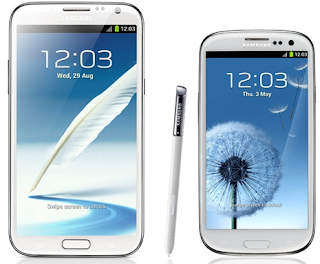 The Galaxy Note III will have identical dimensions as its predecessor Samsung Galaxy Note II in terms of phablet's size even though its sports slightly larger display, reports the website. The Galaxy Note III is expected to be unveiled officially at the Berlin conference in September 4th.